Gerontocracy Prime Minister and the Aspiring Prime Minister should be mindful of Shakespeare’s classic about ambitious Roman Dictator Julius Caesar forewarned by a soothsayer, in the first act of the tragedy play. It is a simile, adapted from the 1599 play to dramatise the assassination of Roman much loved charismatic military leader with ambitious madness of power and prostituting the derivatives of the democracy and the mandate obtained, for own personal interpretations and aspirations. It is contrary against any agreement between the unholy-marriage-of-(in)convenience-between-backstabbing-strange-bedfellows. On the Ides of March of 44 BC, a day used by the Romans as a deadline for settling debts, the conspirators staged a game of gladiatorial sport at the Theatre of Pompey. The gladiators were provided by Decimus Brutus in case their services were needed. They waited in the great hall of the theatre’s quadriportico. Caesar, however, was late, having received several warnings in the previous days. Therefore, Decimus Brutus was sent to fetch him, and managed to persuade Caesar to attend so as not to disappoint the Senate. Mark Antony, having vaguely learned of the plot the night before from a terrified Liberator named Servilius Casca, and fearing the worst, went to head Caesar off. The plotters, however, had anticipated this and, fearing that Antony would come to Caesar’s aid, had arranged for Trebonius to intercept him just as he approached the portico of the Theatre of Pompey, where the session was to be held, and detain him outside (Plutarch, however, assigns this action to delay Antony to Decimus Brutus). When he heard the commotion from the Senate chamber, Antony fled. According to Plutarch, as Caesar arrived at the Senate, Lucius Tillius Cimber presented him with a petition to recall his exiled brother. The other conspirators crowded round to offer their support. Both Plutarch and Suetonius say that Caesar waved him away, but Cimber grabbed Caesar’s shoulders and pulled down Caesar’s toga. Caesar then cried to Metellus Cimber, “Why, this is violence!” (“Ista quidem vis est!“). At the same time, Casca produced his dagger and made a glancing thrust at the dictator’s neck. Caesar turned around quickly and caught Casca by the arm. According to Plutarch, he said in Latin, “Casca, you villain, what are you doing?”. Casca, frightened, shouted “Help, brother!” in Greek (“ἄδελφε, βοηθεῖ“, “adelphe, boethei“). Within moments, the entire group, including Brutus, were stabbing the dictator. Caesar attempted to get away, but, blinded by blood in his eyes, he tripped and fell; the men continued stabbing him as he lay defenseless on the lower steps of the portico. According to Eutropius, sixty or more men participated in the assassination. Caesar was stabbed 23 times. Suetonius relates that a physician who performed an autopsy on Caesar established that only one wound had been fatal. The dictator’s last words are a contested subject among scholars and historians. Suetonius himself says he said nothing, nevertheless, he mentions that others have written that Caesar’s last words were the Greek phrase “καὶ σύ, τέκνον;“(transliterated as “Kai su, teknon?” (You too, child?). According to Plutarch, after the assassination, Brutus stepped forward as if to say something to his fellow senators not involved in the plot; they, however, fled the building. Brutus and his companions then marched to the Capitol while crying out to their beloved city: “People of Rome, we are once again free!”. They were met with silence, as the citizens of Rome had locked themselves inside their houses as soon as the rumour of what had taken place had begun to spread. According to Suetonius, all the conspirators made off, and he (Caesar) lay there lifeless for some time, and finally three common slaves put him on a litter and carried him home, with one arm hanging down. Let us be reminded that this is not the first time the aspirant Prime Minister conspired to topple Gerontocracy Prime Minister. On Monday, it is the first Dewan Rakyat session post Gerontocracy Prime Minister’s party admission of the nine defected Parliamentarians, in contradiction against his own proclamation as per obtaining the democratic mandate ten months ago. It is also with the expressed displeasure of the two largest partner parties in the ruling coalition. It was rumoured that a major political power play is brewing amidst a lot of gossips amongst punters. The various versions are so hot that they have not missed in radar of mainstream media. KUALA LUMPUR: Prime Minister Tun Dr Mahathir Mohammad has decided to take the wait-and-see approach on the allegations by PAS that “something is brewing” within the Pakatan Harapan coalition. “I will wait and see if there is a vote of no-confidence. “I will see if PAS will support me or not, ” said Dr Mahathir after visiting the Ministry of Defence on Thursday. He said this in response to statements by the Islamist party pledging support for him in the event of a betrayal from within Pakatan. Takiyuddin said the party had an “inkling” that something was brewing within Pakatan, and this prompted PAS leadership to discuss the matter with Dr Mahathir during a meeting last week. The discussion, said Takiyuddin, resulted in a draft letter in which PAS pledged that its 18 MPs would support Dr Mahathir should a vote of no-confidence against the Prime Minister take place in the Dewan Rakyat. 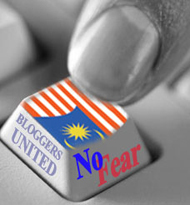 Earlier, a blogger had also alleged that a plot was being hatched from within Pakatan against Dr Mahathir via a vote of no-confidence. Mujahidin Zulkiffli claimed he first heard about the plot to oust Dr Mahathir a few weeks ago from “his sources”. However, Parti Pribumi Bersatu Malaysia said it was confident that its Pakatan allies still backed Dr Mahathir, despite claims he had lost support from PKR and DAP. Bersatu president Tan Sri Muhyiddin Yassin said there was a firm commitment from all four parties in Pakatan – PKR, DAP, Bersatu and Parti Amanah Negara – on this, adding that he was not aware of any party losing confidence in Dr Mahathir. For a vote of confidence to succeed in the Dewan Rakyat, it must have the support of at least 112 out of 222 MPs. Of course the gossip and ‘market talk’ was refuted by senior ruling coalition partnership leaders. SEMENYIH, Feb 23 ― The Pakatan Harapan (PH) government is in a very stable state and the public is advised not to be influenced by the allegations that say otherwise. DAP deputy chairman Gobind Singh Deo also denied speculation that there was a plot to move a vote of no confidence against Prime Minister Tun Dr Mahathir Mohamad. “The PH government in Putrajaya is very stable. The issue of the vote of no confidence is not true, PAS is playing this issue during the Semenyih state by-election because it has no issue. “There is no issue between the parties in PH…not at all. People do not have to worry about this,” he said when campaigning for the by-election here last night. PAS president Datuk Seri Abdul Hadi Awang was previously reported to have said that a vote of no confidence would be tabled during the coming Dewan Rakyat sitting. Gobind Singh, who is also Communications and Multimedia Minister, said the people should give time to PH government to deliver all manifesto promised during the 14th general election in May last year. “PH has been given the mandate to administer the country for five years before the next general election, so give us time to deliver all our promises,” he said. Speaking to reporters afterwards, Gobind Singh, when commenting the issue of toll collection on expressways, said that any announcement pertaining to the matter should be done by the relevant minister. “This toll issue has been brought up since 2008. If it can’t be abolished then we must reduce the rate for the welfare of the people. Even the Barisan Nasional (BN) government that administered the country for 61 years failed to do it, so we (PH) need to show that we are different from them,” he said. Yesterday, Tan Sri Muhyiddin Yassin, Parti Pribumi Bersatu Malaysia (Bersatu) president said that toll-related announcement would be made soon by the relevant ministry. The gossips and rumours are centred in between Gerontocracy Prime Minister, aspirant Prime Minister and favourite third Dark Horse in the whole equation, the Minister who harbours his own aspiration to be the succession plan in the heir of the Prime Minister post Gerontocracy Prime Minister. The fact that this Cabinet member was conferred more authority than the other Cabinet Minister, who is the party leader of the second largest and most strategic partner of the ruling coalition party warrants the stature of prominence in the books of the Gerontocracy Prime Minister. In the recent appointment of the National Economic Action Council with the exclusion of the aspirant Prime Minister’s participation despite his own track record in the Cabinet and helm of the Ministry of Finance for seven years, sends a strong message of political power play distrust at the top. Then, there is also the more premier political aspirant in line also for the Prime Ministership, who is the President of Gerontocracy Prime Minister’s own party. Metaphorically, Gerontocracy Prime Minister is Julius Caesar, the President of Gerontocracy Prime Minister’s own party is Brutus, the aspirant Prime Minister is Cassius and the third Dark Horse is Octavian. As the history recorded, assassination or sudden demise of the Dictator saw the Civil War, which paved the way for Octavian to eventually assume the role of Caesar (Emperor). What is also interesting in this metaphor, the soothsayer is the President of the party of the ruling State Government of the East Coast. This begets the further erosion on the lack of confidence for domestic and foreign investors and businesses a like, as the issues of political stability, grave slack of consistency and clarity of policies. “Naturally, it would affect the operational roll out and translation of the said policies and strategic decisions made”, opined a technology corporation executive Wan Azrain Adnan, who originally came from Bank Negara. “It is their obligation as the Government to ensure there is ‘Stability, Consistency and Clarity’, over their politics”. Needless to say, the ‘Ides of March’ as once written by Joceline Tan on her Sunday The Star political analysis column based on the ‘vision of a Thai psychic’ adds colour to the gossips and speculations, based on so many permutation.